This morning, I visited a member of our church in CICU unit of the hospital. As I spoke with her husband, we discussed her condition, what the doctors seemed to want to do for her treatment, and how he was dealing with all that he had seen his wife go through. I looked around to see who he was talking to and realized he was speaking to me. “He must think I’m a doctor,” I thought to myself. But I was not about to miss this rare opportunity. “Sure, ” I replied. 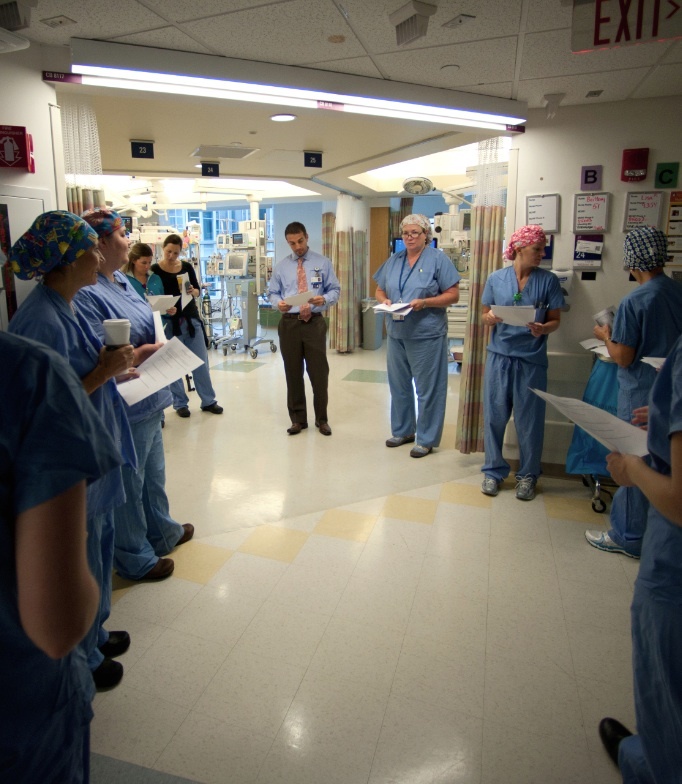 I stepped outside the room and into the hallway into a regiment of 12 doctors and nurses. The doctor asked me to introduce myself, and I did. With that they began their report on my friend. I listened intently, not missing a single word they were speaking. Each person on the team shared their area of information, from medicines being administered to what the medicine’s purpose was; test results, chart info, etc. Determinations were made as to the progress of the treatment and what should be done next. I was caught up in the professionalism, passion, and intensity of pronouncing every detail of the patient’s condition. It was fascinating. All 12 medical professionals seemed to know every detail of this person. Walking away from this unusual experience, I thought about what the church would be like if all the team (the members) were this way. If the entire church were caught up into knowing every detail of Jesus and His Word, what a difference we would make in this world. I thought too, of Acts 2:42, “they were continually devoting themselves to the apostles’ teaching and to fellowship, to the breaking of bread and prayer. You see, the early church was singularly focused. Everything they spoke of, everything they did was in order to grow in the grace and knowledge of the Lord. Imagine small groups that are as intense in their focus of Jesus and His Word as these doctors were in the focus of their patient. Imagine gathering together and learning all we can from each other and the Bible, in order to go live it out in the world. Imagine a world impacted by the great spread of the Good News of Jesus. I’m ready! Would you like to join me for morning rounds?